This afternoon I was visiting a nice couple looking to build a catio in North Hills when I came across my first ever cat outhouse. The family has two indoor/outdoor cats that they are looking to move full time to indoor/catio. For now, the feline siblings do come inside at night. And should the gatos need to relieve themselves, they use a cat outhouse. 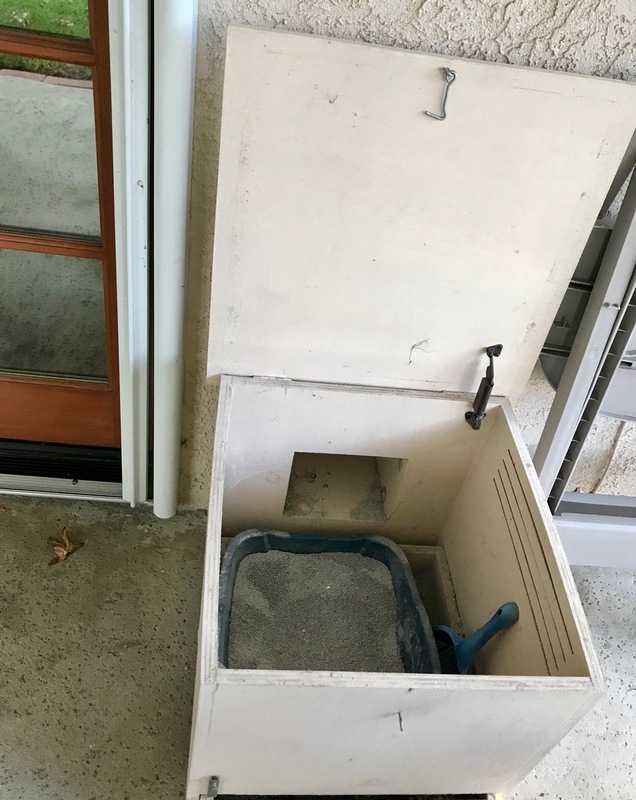 Really, there is a cat door attached to a tiny secured outdoor enclosure with a litter box inside. Genius! Love the ingenuity. And not a bad solution for pet owners desperate to move smelly dusty litter boxes outdoors. Of course, catios can serve the same purpose and come with many additional advantages.